Long time no post, everyone! Today I'll be giving my brutally honest review of Tooth & Nail Cosmetics. 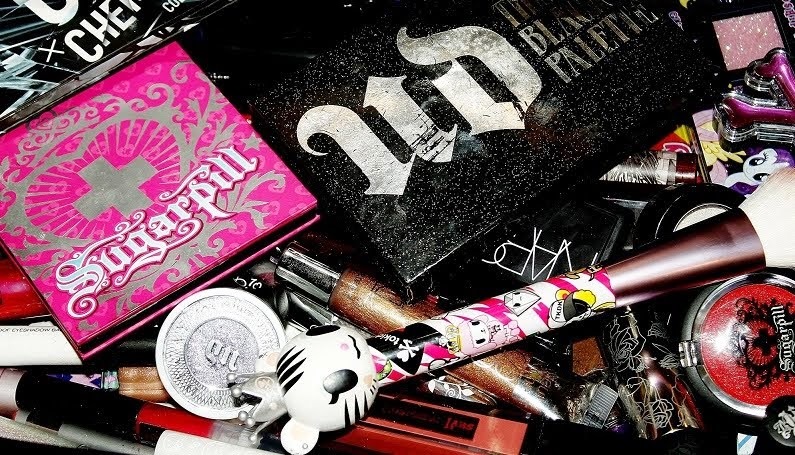 I became aware of them via one of my favorite beauty bloggers, Tori from Biohazardous Beauty. She said their highlighters were amazing, and they are. I purchased a rainbow one from them back during the rainbow craze and loved it, and again purchased their Sailor Moon collection sometime last year. Sadly, the highlighter arrived broken. I emailed her about it, and Hannah Foote was quick to tell me how to fix it, but didn't offer a replacement. Well, all right, the eyeshadow palette was fine, so it was probably a fluke. I enjoyed the eyeshadows and highlighter a lot, so made another purchase late October to get some of her Nightmare Before Christmas highlighters. 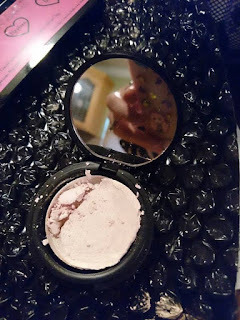 After waiting over a month (they arrived early December), all three of the highlighters were broken, and no wonder, because they were wrapped TOGETHER in really thin bubble wrap. They destroyed each other. This time it was way worse, so I emailed Hannah about replacements. She was again very quick to respond, and promptly offered me replacements with a new formula. Great! I sent her my address, she said they'd ship the following Monday, and all seemed to be good. These were so damaged and messy that I got rid of them. I emailed her again in the beginning of February, kindly apologizing for bugging her but wondering where my highlighters were? No response. I waited two weeks, then tried again using her website contact form. Again, silence. Another two weeks, and I found myself making my first Paypal case. She was quick to respond then, promptly offering me replacements but asking for all my information again, even though she still had my emails (unless they were deleted), and I had it all there in the main text of the Paypal case, anyway. Nevertheless, I provided the information again. Paypal sent an email letting me know that the case would be automatically closing in two days, and she must have gotten that, too, because she said she wasn't getting the Paypal responses but would still send me the replacements if I still wanted them/would give information AGAIN. At this point, I was beyond done and just wanted my money back, so I escalated it to a Paypal claim and thought I'd be getting my money back, at least, and could put this disaster behind me. She demanded that I send the broken product before she'd refund my money, and I WOULD HAVE TO PAY THE SHIPPING. Even if I still had the highlighters, I'd have been pissed about that part. I tried getting Paypal to understand my situation, but nope. So now I'm out the highlighters AND my money, but I have reported her to Paypal and they're investigating, so hopefully there's justice there. 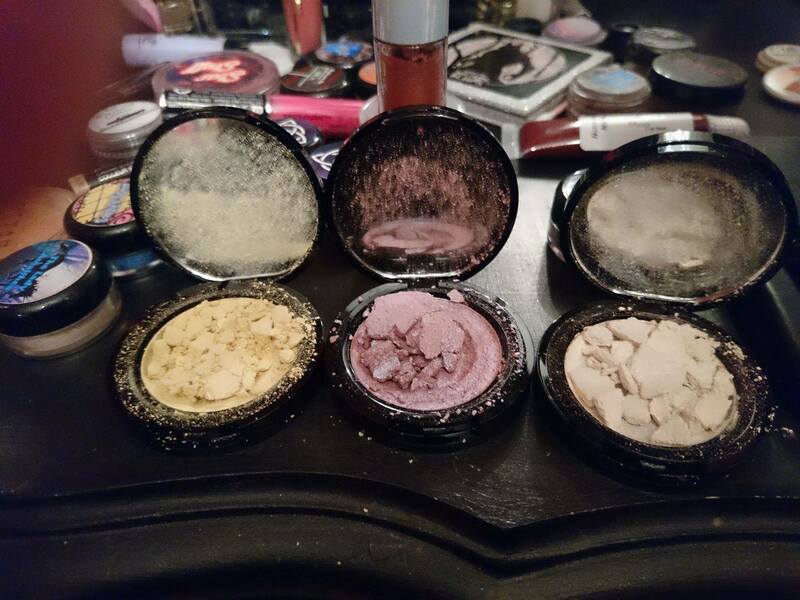 It's a real shame, because her products are honestly very good (although my fixed sailor moon highlighter also broke again when I took it on a trip, so there's that, too. My big ones that are in a Z palette are fine, though), but I just can't abide this level of customer service. I'd rather buy from Lime Crime (who were very kind when replacing a broken item and actually followed through with it...). 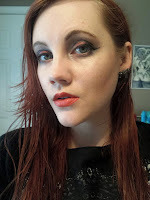 Leslie Pwny (pronounced like Pony) is an enthusiast of all things Makeup, Metal, Adorable, and Geeky. She's constantly at war with herself over her lust for heavy metal fashion and for pink cutesy things that sparkle. She flies through space on rainbows and unicorns. Pwnage.